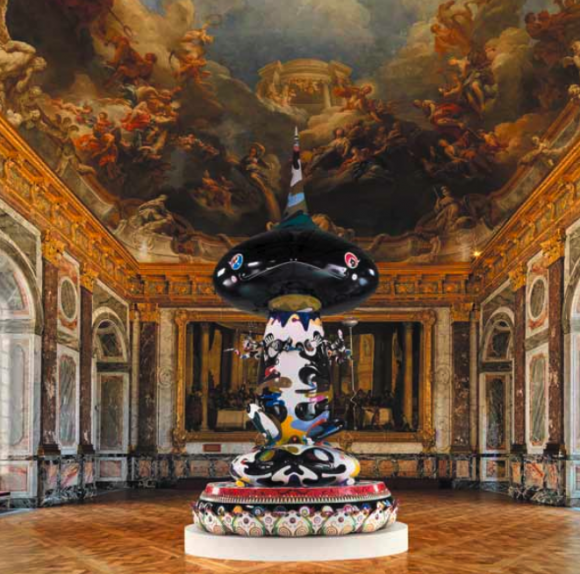 Opening today is the presentation of Japanese Pop artist, Takashi Murakami at the Château de Versailles. Murakami has over twenty works on display scattered through out the gardens and halls of the palace. The estate has turned into a wonderland of fantasy sculptures, a mix of futuristic traditionalism, even the “Oval Buddha” sculpture has added a sense of fitting nature to the grounds. Many French traditionalists are still very shocked and startled by the Superflat movement that distracts the ornate decor of Versailles. However, there is a plentiful amount of contemporary energy and the contrast between the two, creating a sense of “harmony and disharmony” words used by the curator Laurent Le Bon telling PRI’s THE WORLD. 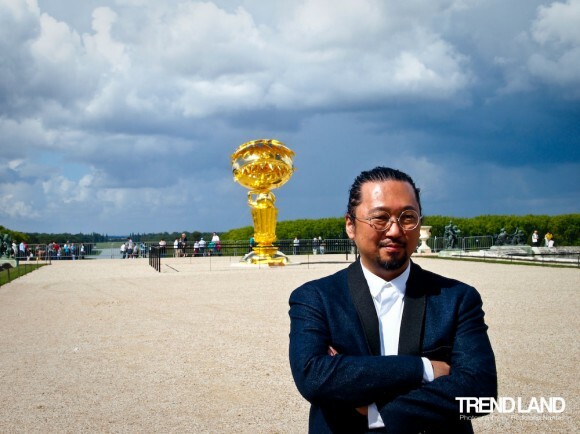 Within the past couple of years, Versailles has experimented with other contemporary artists such as American Jeff Koons and last year by Frenchman Xavier Veillan. The social experiment and the integration of Western art and Superflat has a similar complex feel, but pushes all boundaries of excessiveness. “Work of Art: The Next Great Artist” is Now Casting!